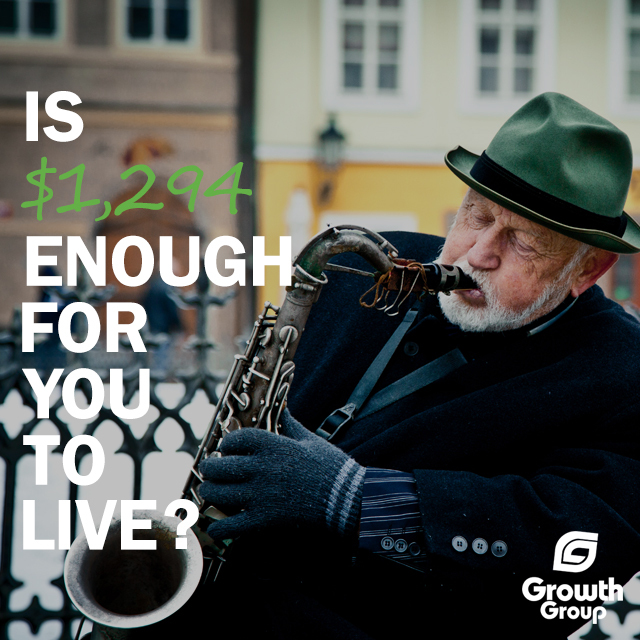 Can you live on $1,294 per month? I won’t let social security be my retirement plan. When I’m old, I want to retire and live comfortably. My goal is a paid-off house and a bunch of grandkids to cook for when my future children send them to me every summer in July. $1,294 is the average monthly amount received from social security for a retiree in 2014 that’s only $37 per month more than the 2014 minimum wage. Today, if you care (around age 60 if you’re a huge risk-taker). Retirement planning should be thought about well before you start seeing grey hairs appear. The earlier you start, the more money you’ll have once you’re ready to stop performing, drop the mic, sell your recording studio, or merge your record label. Nearly half of all single 65 year-olds are living on about $1,294 per month, because 90% of their income is from social security. Do I pay less taxes when saving for retirement? Yes. As a music industry professional you are probably self-employed, which means you’re typically not investing in a 401(k). As a “musicpreneur” there are still retirement options available for you and they come with tax benefits. Simplified Employee Pension Plan (SEP-IRA) allows you to contribute up to $52,000 for 2014 (yes, fifty-two thousand) to retirement. This is tax deductible and can allow you to stash away some serious cash. Use this after maximizing your traditional or roth IRA accounts. Traditional IRA allows you to contribute up to $5,500 (for 2014) to retirement and take a tax deduction. Anything you earn in that account, interest, dividends, etc. will be taxed along with the amount you contributed, when you start using the money when you’re a senior citizen. Roth IRA allows you to contribute up to $5,500 (for 2014), but you’re taxed upfront. The tax savings come in when you retire to the islands! At that time, you can take the money out, including any interest and dividends, tax free! Selling my music business is my retirement plan, is that enough? Some recording studios, record labels, and music creators get lucky and sell their business or catalog for more than enough money to live on for the rest of their lives – but the majority don’t. Banking on the sale of your music business is a high risk strategy in terms of retirement planning. 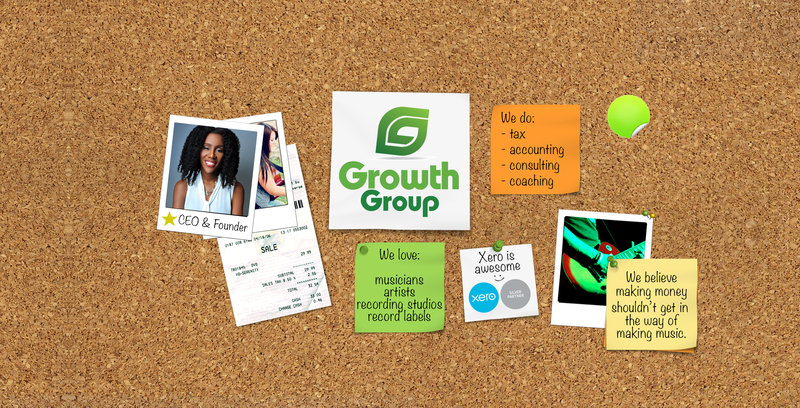 Using IRAs and investing can allow music business owners to accumulate funds over time in a very tax-friendly way, which reduces the reliance on the sale of the business in the future. Not only do you reduce the risk, but you pay less in taxes along the way. I can’t afford to save for retirement, what are my options? You can’t afford not to. Poor planning predicts poverty. At the age of 70 and 74, jazz musicians in NYC are asking the city to force club owners to start a pension fund so that they can retire. One lady, after performing for 5 decades, making $50 night (in 1958) would be holding $65,000 if she’d stuffed 10% of that under a mattress. In addition to her social security check that cash would leave her in a better position than she is today, “destitute.” Had she invested (as opposed to the mattress approach), she wouldn’t be “demand[ing] the just rewards of receiving a pension in [her] old age.” So, your options are poverty and destitution, or a comfie retirement fund plus social security. Which one do you choose? Retirement planning isn’t just for your own comfort in your old age. It can also benefit your family and take care of you when your 5,000 parts start aching. Start planning for prosperity long after your performance years are over. When $1,294 isn’t enough, do something about it.